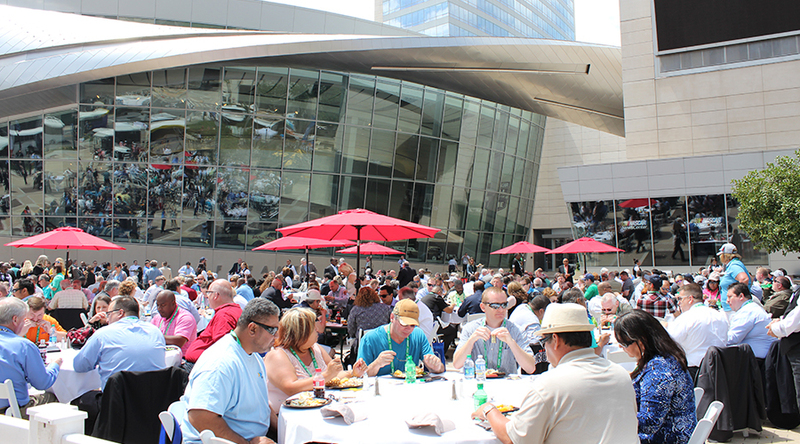 Connected to the Charlotte Convention Center by an overstreet walkway, the NASCAR Hall of Fame is a convenient and unique location for a signature event. In this 86,500-square-foot facility, you can host a Great Hall reception surrounded by racing memorabilia, dine by a NASCAR Hall Famer’s car, plan an intimate gathering in the Legends Room, or test your group’s competitive edge during pit crew challenges. The primary gathering place within the NASCAR Hall of Fame, this large open area is set against the backdrop of the iconic Glory Road, which has 18 stock cars on display. Sit-down luncheons and dinners with keynote speakers, holiday parties, press conferences, and more fit nicely in this space, thanks to its flexible floorplan and wide capacity range (between 380 and 650). And to complement your event, the Hall of Fame’s 24’ x 14’ video board is available to showcase logos, display graphics and play video. Need an outdoor space? 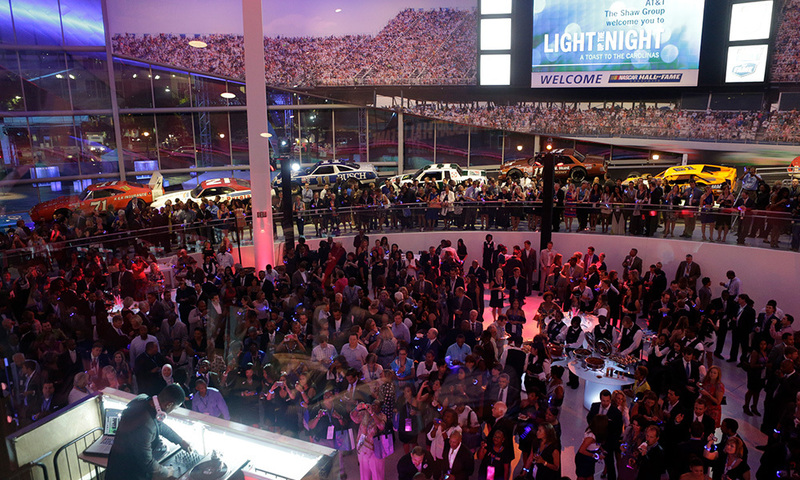 The NASCAR Hall of Fame’s 19,000-square-foot patio is spacious and flexible, which is ideal for large events, festivals and athletic competitions. Plus, the Hall of Fame will make sure everything, from electricity to catering, is tailored to your event’s needs. 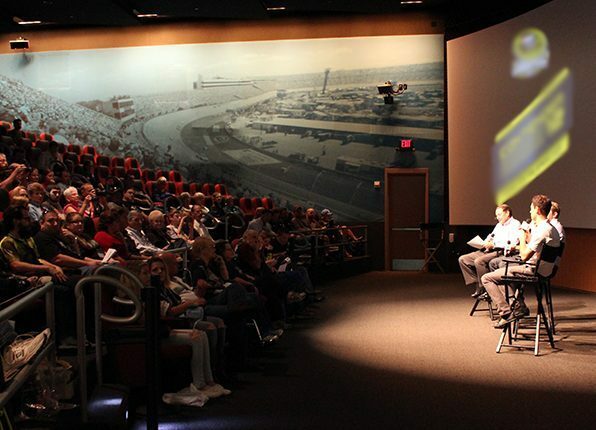 Located on the first level of the NASCAR Hall of Fame, the 278-seat High Octane Theater invites guests to sit back in high-back theater seats and enjoy the wide-ranging capabilities of a 64-foot-wide projection screen. One of Charlotte’s most technologically advanced presentation theaters, this space is ideal for sales and digital meetings and award presentations. And with the Theater Lobby, which holds between 90 and 150 people, groups can gather before and after events with ease. Race Week and Heritage Speedway are located on the third and fourth floors of the NASCAR Hall of Fame. 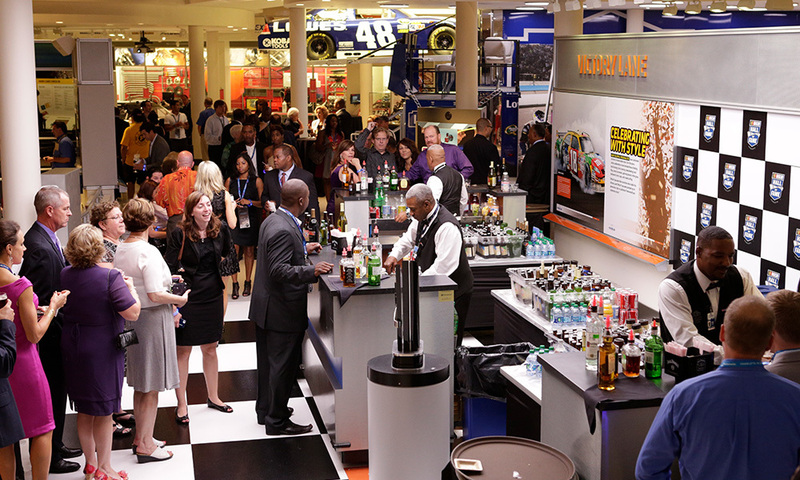 With a reception-style capacity of 250 people, these spaces allow event attendees to engage with racing history and interactive exhibits, including the Hall of Fame’s racing simulators and pit crew challenge. The Hall of Honor is where the NASCAR Hall of Fame celebrates each inductee and his achievements. 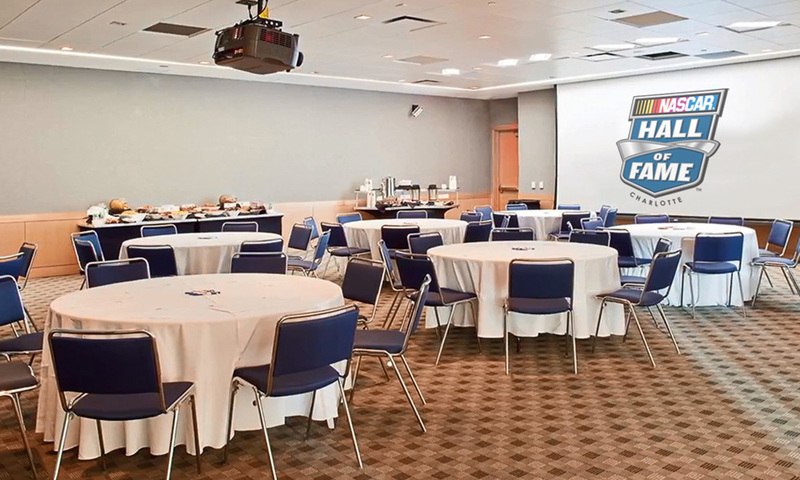 Perfect for a small dinner or VIP reception surrounded by NASCAR memorabilia, this intimate room can accommodate 50 to 80 people depending on the event. Unique audio/visual capabilities are also available. Ideal for intimate gatherings, small group meetings and presentations, this private room holds between 36 and 120 people depending on the event’s layout. 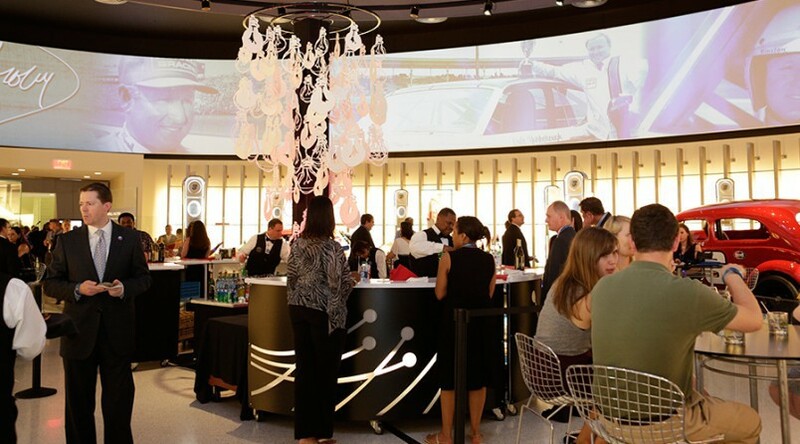 In addition to being great for sit-down meals, the space is equipped with full audio/visual capabilities, a projector and a 1902x1080 screen to showcase logos, display graphics and play video.